A report released by the Institute of Medicine (IOM) draws national attention to a vital topic that is too rarely discussed publicly: end-of-life care. 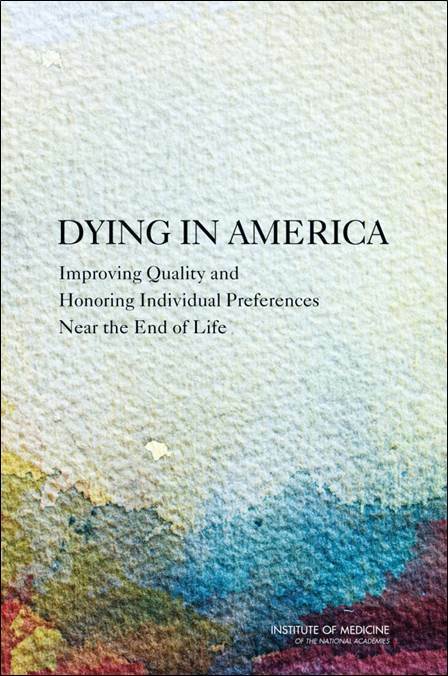 To examine opportunities for improvement in end of life care, the IOM commissioned a 21-member nonpartisan committee two years ago, which included Leonard D. Schaeffer. Earlier this month, the committee released their findings, detailing sweeping changes to current practices and addressing critical gaps in end-of-life services. The commission found that overall the U.S. healthcare system is currently ill equipped to handle end-of-life care. This includes a critical gap in service delivery between what is available and what families and patients actually want which is further complicated by a general lack of communication about end-of-life planning and a system that incentives procedures. The commission calls for a prioritized discussion about end-of-life care including systemic industry changes and policy recommendations to more effectively meet the needs of patients. The committee makes recommendations in the areas of care delivery, clinician–patient communication and advance care planning, professional education and development, payment systems and policies, and public engagement and education. Specific recommendations include focused training in palliative care for all care providers and doctors, more comprehensive and coordinated care for those patients nearing their end of life, and a realignment of financial incentives that currently hamper delivery of optimal care. These recommendations will be important priorities as the healthcare industry tackles the issue of effective end-of-life care for a population that is increasingly getting older.